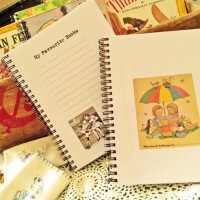 A lovely little gift – old fashioned bookplates containing sweet vintage images. Category: Momento Stationery. Tags: kit, retro, sewing. A lovely little gift – old fashioned bookplates containing vintage images. 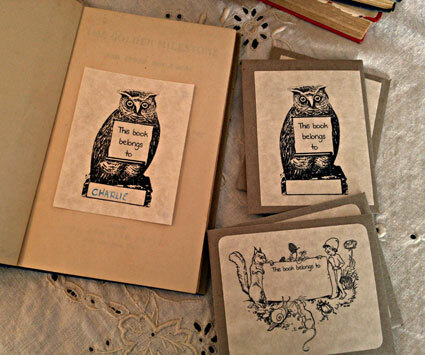 Featuring a sweet little woodland scene or a wise old owl, using these lovely bookplates means you can name your favourite books and then loan them to friends safe in the knowledge they’ll find their way home. Printing on parchment paper, each handmade kraft paper packet contains a set of 10 ungummed bookplates.